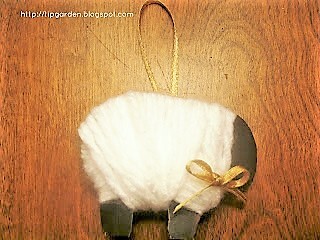 Week #2 of my Thrifty Gift Fridays: These cute Sheep ornaments are easy and very inexpensive to make. They would be a great inexpensive gift for a Bible study class. You could attach a little tag with a fitting scripture, or saying such as "Feed my Sheep" or a reference to the Shepherd, or even We wish "Ewe" a Merry Christmas! Embellishments if desired such as a small bow for the neck or tiny bell would be cute too. Jan's tip: One skein of yarn will last you for stinkin' ever, so go ahead and splurge on a nice quality "fluffy" one! Cut out desired size of sheep onto white paper. Jan's Tip: I highly recommend, cutting the legs a bit longer and thinner, to widen the distance between legs and by lengthening them just a bit longer than the template, you won't feel like the yarn is covering up most of their legs. trimmed them a bit more. Starting near the head(you want to start just behind the face) of the sheep, put the end of the yarn on the back side of the sheep, while holding it down with one finger or thumb. 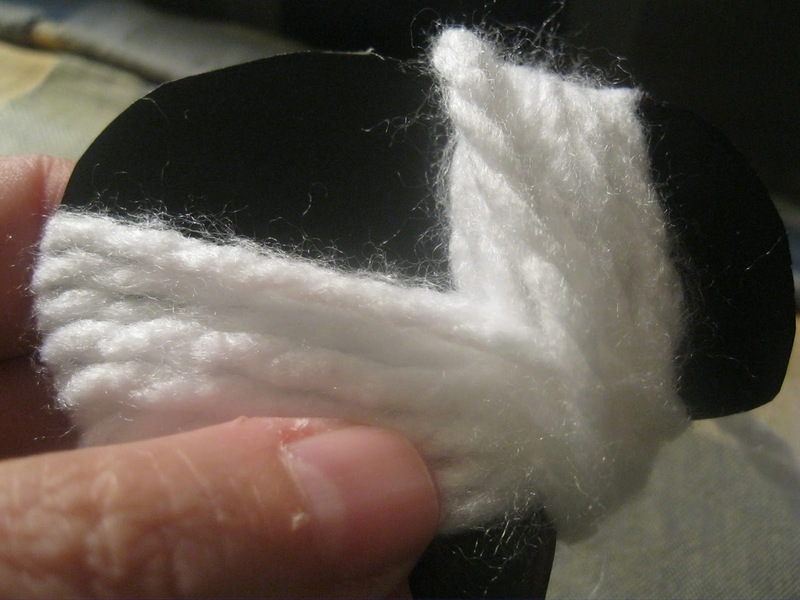 starting wrapping the yarn around the sheeps neck a few times, making sure the first loop around secures down the end piece you've been keeping a hold of. Wrap across body just above sheep's legs and work your way up, wrapping as you go. Then pull yarn up to neck. Wrap from top of back down through legs. Keep wrapping straight up and down between legs until sheep is full and fluffy and evenly covered. If you haven't already, cut the yarn from the skein and tuck it onto the back of the sheep and tack it down with a touch of hot glue. 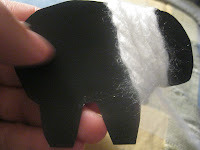 Hot glue a loop of jute/twine/or ribbon onto the back side (middle of the sheep) for a hanger. Embellish as desired with a tiny bow or bell at the sheep neck. Attach a cute quote or scripture printed on a card stock paper to the hanger loop if desired. Love these! I used to make these with my kids when they were little. 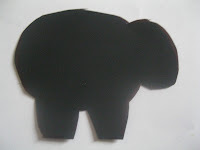 I have used thin wood cut with my scroll saw sometimes for the poster board. I'm enjoying your posts on inexpensive gifts. Thanks Lori! Wow, a scroll saw, that can be alot of work, but so fun! Thanks for sharing the idea! 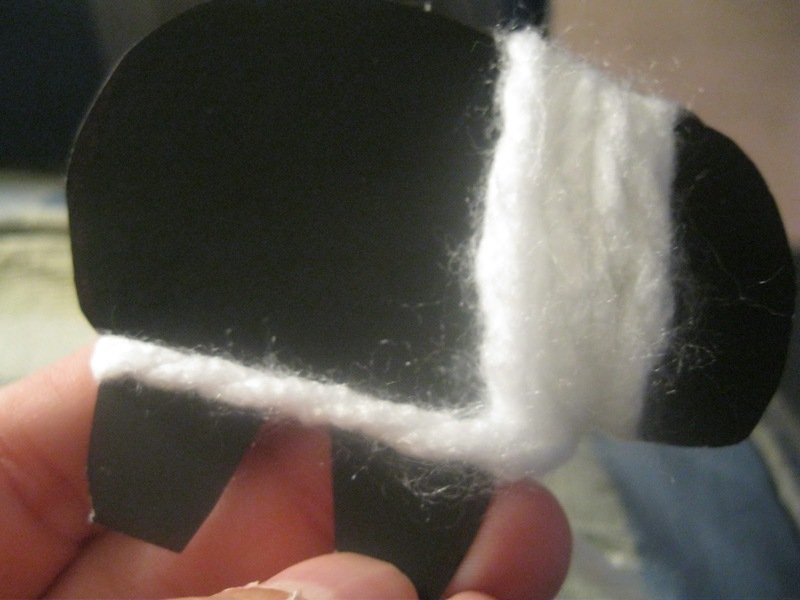 Have made these several times with groups of children -- your tutorial would help make it so much easier -- plus the tip to start with black cardstock! So cute! Thanks so much for linking on Busy Monday!